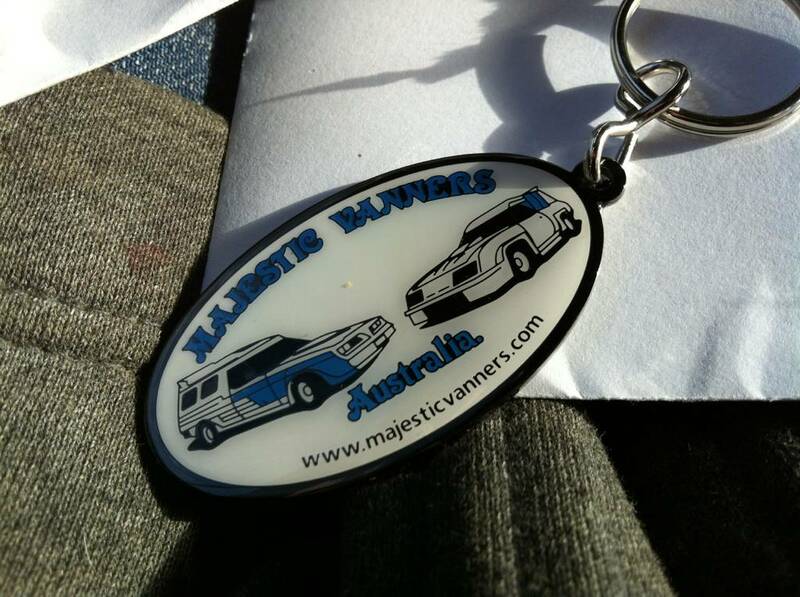 Hey guy's,my key ring arrived today and I am impressed on how good it looks,it will not be used on anything else until the day when I can get another van. Thanks Rusty and Andrew and Kerri. I'm pleased that you're Pleased with it. I'm hoping the Mrs picks mine up from the Post Office today. Picked mine up from Andrew and Kerri's last night. Put one straight on the daily keys, and the other onto the vans' key set. The Cost for people who aren't Club Members is $20.00@, which includes Postage & Handling. Club Members get a Discount, prices being available in the Members Section. 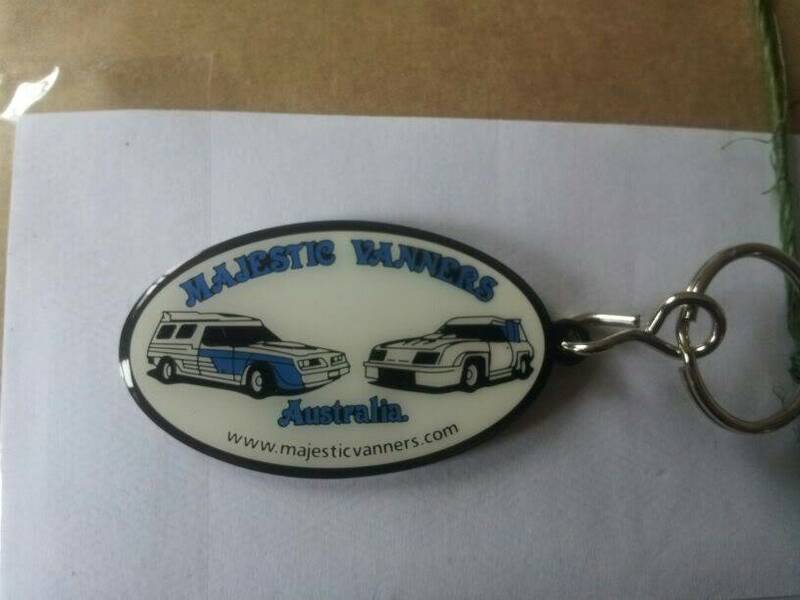 Key Rings are oval in shape (as per the photo), 55mm wide, with 3 colours plus Black Chrome electroplating. They come with an ‘S’ hook and split ring. The Logo is Baked Enamel on Brass. Everyone who's received them so far has said that they are very pleased with the Quality. The Mrs said I have a package waiting at home. Hopefully I will get mine this evening. Great job and a huge well done to everyone involved. Rusty for organising it and Andrew and Kerri for pick up and quick efficient distribution. Sweet!!! mine came in today as well, excellent job to all involved, they are the bees knees. Badge'rs certainly did a Top Job! I like the way they utilised the Black Enamel Lines and the Black Chrome Background for the Windows and Lights etc. got mine yesterday aswell. they are great !!!!! Seriously if you have'nt bought some,do it,they are awesome. I bought 3 but now I've only got 2. When Kalgoorlie Sandman called through the other day I showed him them and his eyes lit up so I donated one to him. 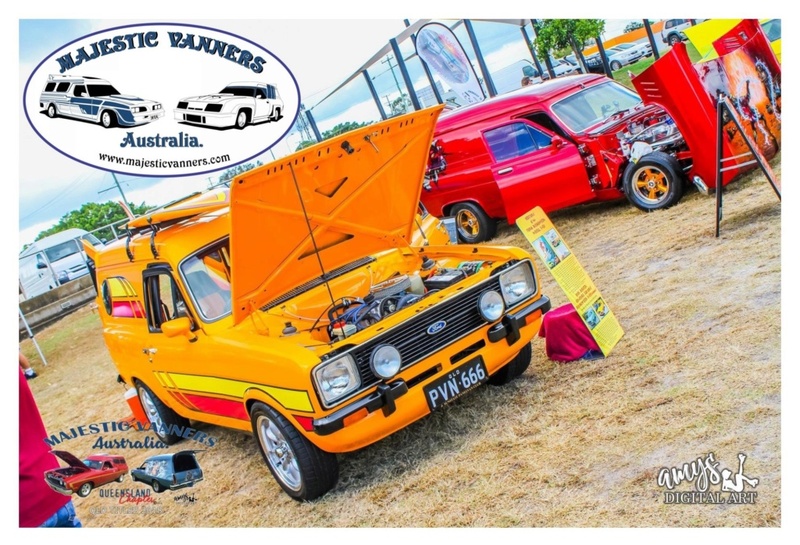 I caught up with Peter Preston at Walla Wall Show & Shine on Saturday. He loved them so much, he bought one on the spot! Adrian & Mel were also there. I dropped theirs off on Friday evening. They are also very pleased. I wonder if they've finally Christened that Van? I'm having a lot of trouble wiping that Crumb from my Screen though. It looks so 3D. I'm liking these Key Rings so much, I just might have to buy myself a couple of Spares as well. Now just where did I leave those Keys to the Wagon? Hmmm might have to buy one......they do look good, top job there. No bottle opener on the back?? BonesnSkull wrote: Hmmm might have to buy one......they do look good, top job there. No bottle opener on the back?? That's right Rick. No Bottle Opener.